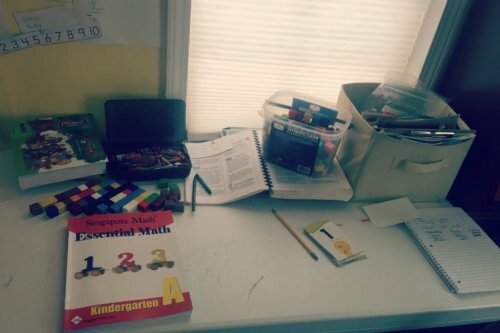 Want a peek into the real life homeschool of other moms? Maybe you want to learn more about the homeschool methods and how they actually work? 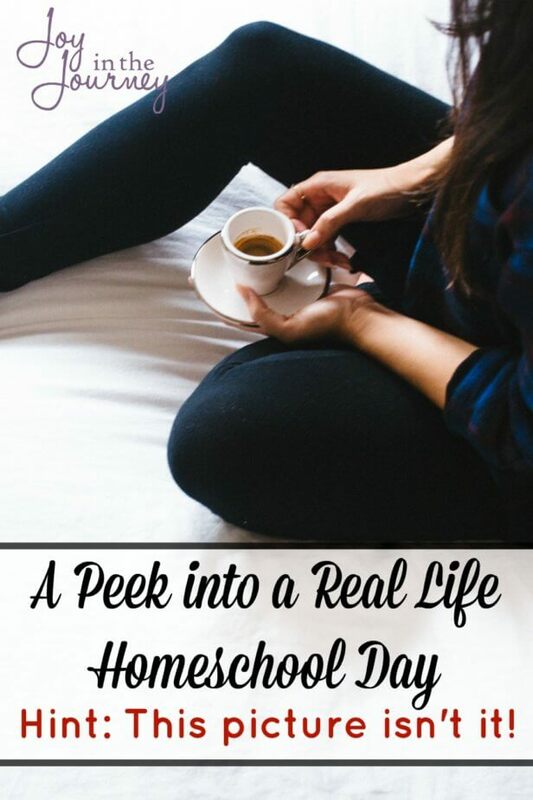 Sneak a peek into the real life homeschool of homeschool bloggers and see the homeschool methods in action! Have you ever wondered what life was like behind the scenes of a homeschool mom blog? Maybe you wonder how different methods of homeschooling work and would like a peek inside. That’s what this series is all about! So, to kick it off let’s take a peek into MY homeschool day. The alarm goes off at 5:30. Yes, that’s right, 5:30! I roll over grab my phone and quickly read a devotion on my Bible app. My husband is up and getting ready for work, we chat for a few minutes before he leaves. Then, my day begins. Our typical day is a blur of routine. Without a routine, I believe I would fall apart. It keeps us sane and keeps us on task. Here is a peek into our routine. From 6 am to 8:30 am I work. I schedule my days Facebook posts, manage social media for a few clients, and do any other work that needs to be done for the day. The kids slowly wake up between 7 and 8 and turn on cartoons after telling me good morning. As a work at home, homeschool mom I have to admit I sometimes feel a little guilty for not getting up, making breakfast and doing all those fun things that “normal” moms do. BUT… I work. That’s our reality. So, the girls take turns getting breakfast. They begin doing chores and run things until I am done working. We are eclectic homeschoolers. What does that mean? We use a variety of homeschooling resources. My heart wants to be Charlotte Mason, but the reality is I can’t do it. So, we use a hodgepodge and have some Charlotte Mason tendencies. I believe that outside time is important, as is high-quality literature. However, I also am a firm believer in textbooks. For my girls, they work. for my boy, not so much. We use a lot of hands-on activities with him, and his learning style rocked my world. Monday through Thursday (See our Flex Fridays here) our homeschool day is broke up into four 45 minute sessions. 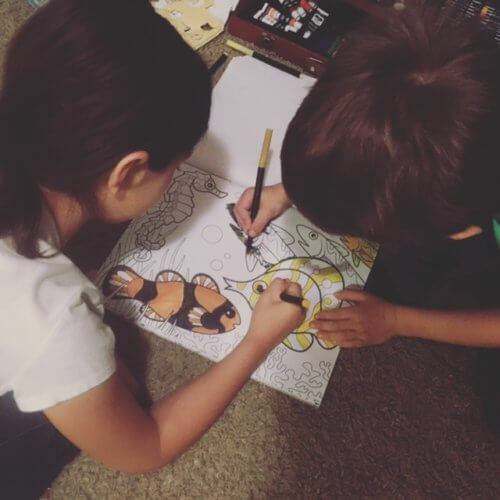 Each session requires a different level of involvement from me, but this method of homeschooling has worked well for us for a few years now. To see how our student planning system works, visit this post. Our school day starts off with Bible time, we use Notgrass Bible curriculum and start our day off together. This is my favorite part of the day. We pray together, do the pledge, and when my kids were younger we did circle time together. After Bible time, the girls break off on their own. One does language arts, while the other starts math. This is when I crack into the books with the boy. We do circle time together, complete his reading lessons, and get what we can get done in 30 minutes. That’s all his attention span can handle, and even then I sometimes have to send my fidgety kid to the trampoline. I check in on the girls, see if they need help, and throw in a load of laundry. After this, we start our second block. The second block sends the boy to the couch for educational TV. Yes, I know this isn’t ideal, but it’s our real life. During this block, I work with the girls on History. To see what we use for History take a peek into our homeschool curriculum. After block two the kids take a break before moving on to block three. Block three resembles block one for us. The girls work in math or language arts, and I finish up school with the boy. Independent learning is SO important, and I am thankful that my girls are independent in these subjects. The boy is DONE with school now and is usually outside. I begin working on lunch and am available if the girls need me. During this block, the girls work on Science or foreign language. This block will need to be tweaked in the upcoming year as I plan on doing Science with the boy and my middle at the same time. After block four we eat lunch and have the rest of the day free. Sometimes the girls still have school left, and work on it after lunch, but usually, we are done. The bickering between the girls over one of them crossing the “line” on the table. The days we start school at 10 instead of 9 because daddy’s home and doesn’t mind getting us sidetracked…. The truth is that no matter how many times I tweak the schedule or make plans for the day, things happen. 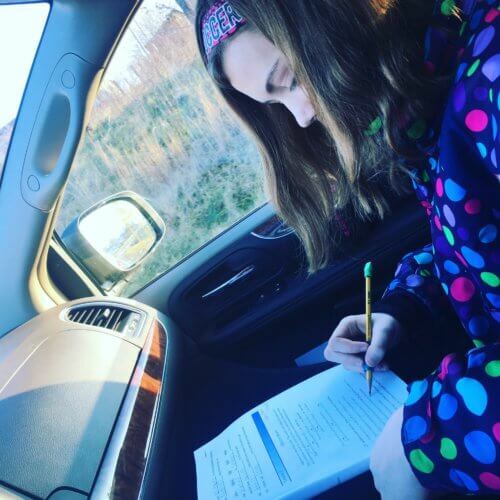 When you are a work at home, homeschooling mom life and work gets in the way. It’s not ideal… but its real life. There are days when there are deadlines that can’t be helped and days when I let work take over. There are days I just DON’T want to juggle working and homeschooling and resent both. There are days where I fail at homeschooling. When it comes to being a homeschool mom, no matter which method of homeschooling you use, there is no magic formula to the perfect day. 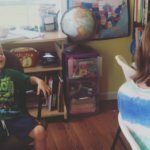 So, while I hope this series gives you a peek into other homeschool methods, I also hope you remember to not measure your homeschool day with any of ours. We are all just balancing. Doing the best we can, and hoping it’s enough. These peeks into the other methods are just that, a peek, so take a look, learn, and then find the method that works best for you! Which method of homeschooling do you use? 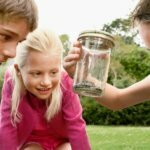 Want to learn more about homeschool methods? Take a look at the other posts in this series. 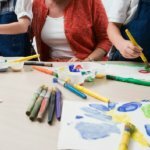 What is Delight Directed Homeschooling? Want more information about Schooling at Home, While Working at Home? Check out my book! Want to work at home? Check out Schooling at Home While Working at Home! This is very well stated. Life does get in the way often. I must say it’s hard to find that magic balance to getting it all done. However, it always manages to miraculously get done. Yes, thank you for your words of affirmation!! I don’t know how you balance it all. That sounds like a jam packed schedule! Good for you for getting up early. I get up at 5:30 as well, but it’s not easy! Oh and I stopped by from the Equipping Godly Women link up. Oh, I don’t know about an inspiration… but thanks! There’s no way I could work and homeschool. You only have 2 hours of blog time scheduled into your day? I typically spend 4-5 hours blogging and 3 hours working and I STILL feel like there’s never enough time! Yes, I just tell myself priorities. At the end of the week I have spent about 8 hours on my blog, and around 8-10 on paid work. I try to limit myself to less than 20 hours of blog/paid work each week. If my kids were in school, I’d have SO much more time. But, God called us to homeschool, so here I am. Despite the lack of time (compared to others) I have still seen great blog growth! So, God is still blessing, even with the limited time. I love reading “A Day in the Life” posts! I liked reading your schedule. I have been considering added more of a timed hour-by-hour schedule into our days for various reasons. It seems that everyone who does just lives by it! Just curious: Do you work at other times during the day? Or mainly from 6-8 AM? I am enjoying the other posts you linked to. I’ll be back to read more! Thanks! I normally check in on my laptop around this time each day (nap time) and do some social media, reply to comments, net work, etc. So, it is blog work. My paid work I only do in the morning from 6-8 M-F.
Blogging work I spend about an hour each day (I check in first thing in the morning, nap time (like I said above) and before bed), then Monday and FRiday evenings I have 2 hours devoted just for blogging. This is when I get all my posts wrote, pictures created, guest or contributor posts turned in, etc. Hope that helps explain better. Thanks for stopping by!! I loved reading your schedule. Your schedule is very similar to mine except I do everything about a 1/2 hour earlier than you. I like your “reality” check at the end… isn’t that the truth. My kids have been fighting non-stop lately. That’s my unfortunate reality lately. I L-O-V-E this post! I need grace when things don’t go as planned 🙂 This encouraged me today.